Working with ide8 Marketing, we rebranded Goodwill Industries of Colorado Springs, giving the organization the new name, Discover Goodwill. We also helped to roll out 6 programs under the new structure. The rebrand included a new website (in partnership with InFront), marketing materials, and sub-branding and materials for all programs. 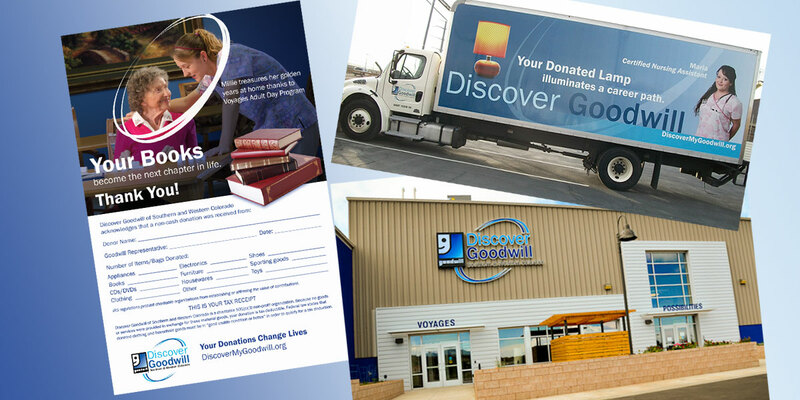 Our goal was to increase market awareness and understanding of the Discover Goodwill brand and drive deeper community engagement and support in preparation for expansion into new territories. 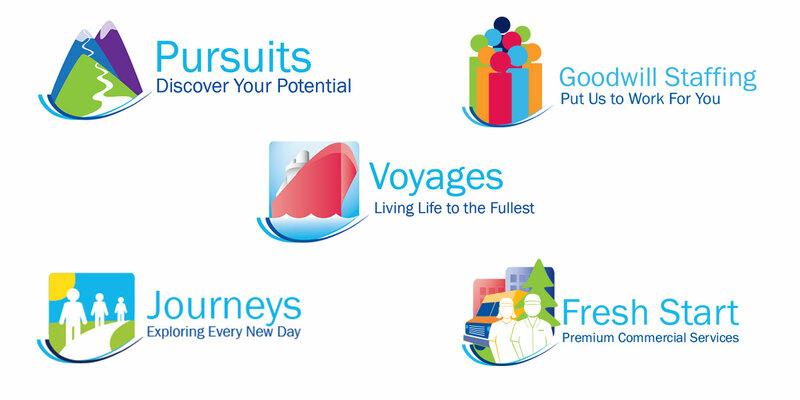 While moving into these new territories, we needed to create a consistent management and delivery of the brand across all stakeholder touch points. In response to the RFP, we created a hand-bound book called The Power of the Untold Story featuring our understanding of the opportunity. 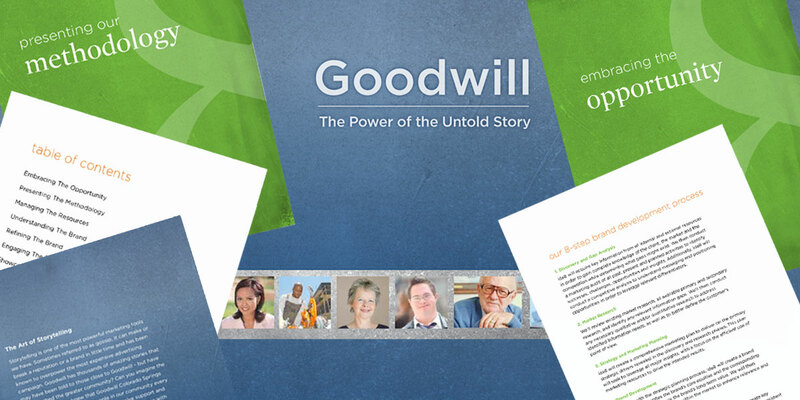 We convinced the stakeholders that uncovering the story of Goodwill’s involvement in the lives of their clients was the way to show the community the breadth and depth of Goodwill’s programs. 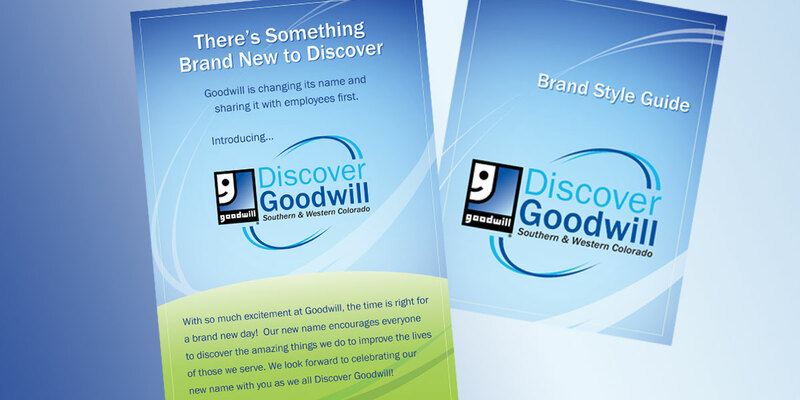 Through leading a collaborative effort with the stakeholders and select staff from Goodwill, we landed on a name that fit for the present opportunity and into future growth: Discover Goodwill (The full name is Discover Goodwill Southern & Western Colorado). We developed a new logo that would work with the “smiling g,” a legacy element that Goodwill branches have shared since 1968. The double swoosh around the name signifies active team work within the organization and partnership with the community. 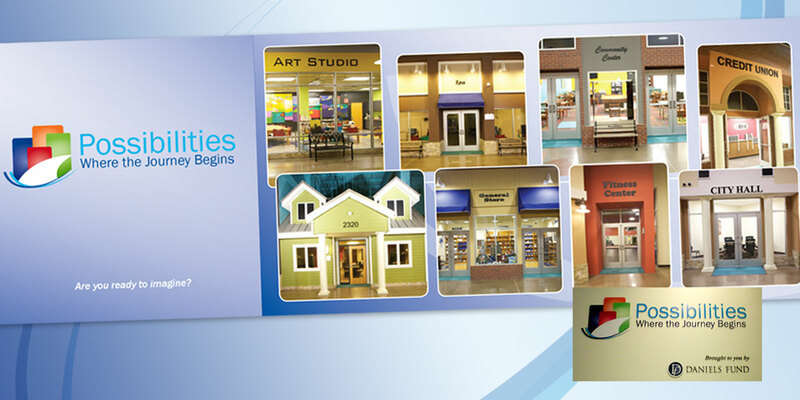 It is used as a unifier in the identity of all other Discover Goodwill programs. We shared the new name with the local staff first before unveiling to the public through ads, truck and store graphics, and signage on a new corporate office and program center. 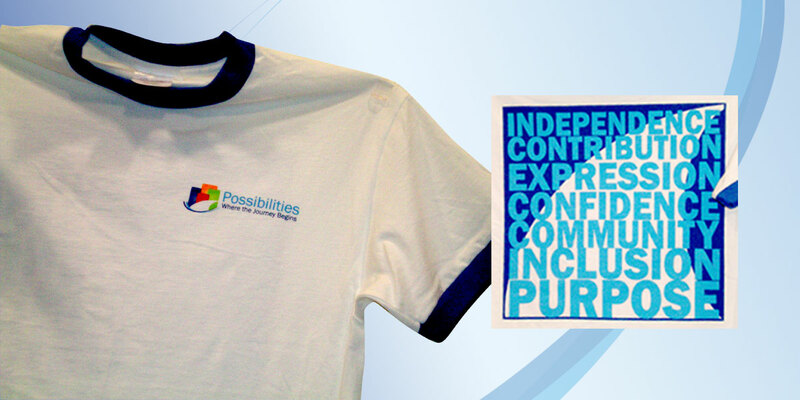 Phase Two of the project included rolling out a first-of-its-kind program called Possibilities. 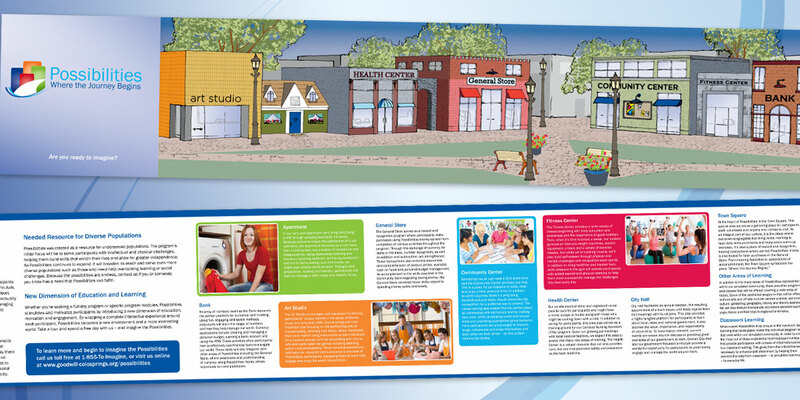 As much a community as it is a program, Possibilities presents a unique learning model that engages program participants through a series of new interactions and experiences within a tiny village located next to the Discover Goodwill offices in Colorado Springs. The goal is to get them ready for safe and confident participation in their communities. We developed pre-sale and post-launch materials including a website (with InFront), brochures and signage.